Frankie Cosmos’ latest album is aptly titled. Next Thing sees now 22-year-old Greta Kline sounding more self-assured and mature than ever. When I first learned of its impending release, I was genuinely curious about how Next Thing would hold up alongside of Frankie Cosmos’ 2014 release, Zentropy which was named number one on New York Magazine’s 32 Best Pop Albums of 2014. It seems like quite a feat to follow something like that up, right? You might assume so – in the same way that I did. However, after a few easy listens to the airy, ethereal indie pop featured on Next Thing, my concerns vanished. Album highlights are many. It’s easy to see why, as the instrumental and lyrical evolution on Next Thing surpasses (if you can believe it!) that of the absolutely lovely Zentropy. Just two floaty, light tracks into Next Thing, is the soft and sweet ‘Fool’, whose breezy bassline, combined with its gorgeous backing vocals evokes images of shy glances and warrants endless listens. ‘Too Dark’ questions the things that everyone wading through their teens and early twenties does. It asks, “Do I belong?” Clocking in just shy of the 3 minute mark, this poignant and honest number changes tune around the halfway mark. Even though Kline’s lyrics, (“I drink bad coffee / Hope that you’ll call me … You never look back”) throughout ‘Too Dark’ don’t exactly seem sanguine, the song’s close brings with it a sense of optimism. Additionally, ‘Is It Possible / Sleep Song’ is quite possibly the prettiest song about the difficulty of having to cut someone out of your life I have ever heard. While it features a playful, toe-tapping beat – Kline’s lyrics and vocal delivery throughout the song’s two-and-a-half minutes (particularly in the last minute or so) feel anything but fun. This approach to songwriting, however, is nothing new to fans of her previous works. What makes Frankie Cosmos so magical is the combination of these things: Kline’s unique approach to songwriting, her ability to make even the most somber of themes sound playful, and the added depth that moments like those in the latter half of ‘Is It Possible / Sleep Song’ — where Porches’ Aaron Maine (and Kline’s boyfriend) lends his voice. The instrumentally sparse, yet deeply moving ‘O Dreaded C Town’ could not be a more fitting way to close the album. It features one of the most thoughtful, knot-in-the-throat-inducing lines throughout the album: “Today I walked through your town / It’s ruined for me now.” It’s an admission that is anything but easy. In the latter half of the song, Kline sings, “Where are you now / I don’t really care / Who you’re around / Who you’re making scared”, but it’s quite obvious through her delivery that the exact opposite is true. 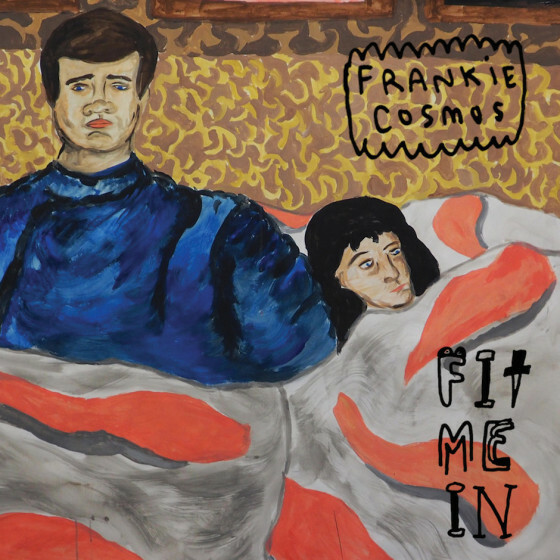 Upon allowing each song on Next Thing to truly sink in, it becomes quite evident that the genius of Frankie Cosmos’ latest work lies in its straightforwardness, its vulnerability, and its ability to make every last moment (including the 46 second ‘Interlude’) memorable. Greta Kline is not afraid to say what we've all felt (but are often too scared to admit), and she stands out that much more for it. With its mix of bouncy, smart, and sweet songs, Next Thing proves to be both endlessly listenable – and easily Frankie Cosmos’ most accomplished work to date. Good review. I liked Zentropy, so I'm going to have to give it a listen. Thanks! Absolutely worth a listen.